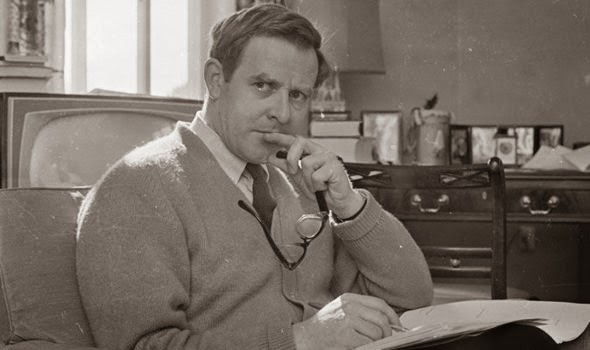 John le Carré (1931- ) is the pseudonym of David Cornwell. He was born in Poole, Dorset, England. His mother abandoned the family when he was five years old. His father had a troubled relationship with the law, and was connected to organized crime. His family was financially volatile, his father making large sums of money and losing it, time after time. In 1948, le Carré attended the University of Bern, Switzerland, to study foreign languages. In 1950 he joined the British Army's Intelligence Corps before returning to England in 1952. He married Alison Sharp in 1954. It is around this point that le Carré joined MI5. In 1960, he transferred from MI5 to MI6 (MI5 is the domestic intelligence agency, MI6 is the international. The rough U.S. equivalent would be the NSA and the CIA). Le Carré ran operations within the intelligence community, led interrogations and tapped communications. He published his first two novels, Call for the Dead (1961) and A Murder of Quality (1962) under a pseudonym due to MI6 regulations. His third novel, The Spy Who Came in from the Cold (1963) was an international bestseller and won le Carré the Somerset Maugham Award for young British writers. Le Carré left MI6 in 1964 after his identity was compromised, and became a full time writer. He divorced Sharp in 1971 and married Valérie Eusatce in 1972. He had eight more appearances on the annual bestsellers list including 1974's Tinker, Tailor, Soldier, Spy. Le Carré and his wife currently live in St. Buryan, Cornwall, U.K. 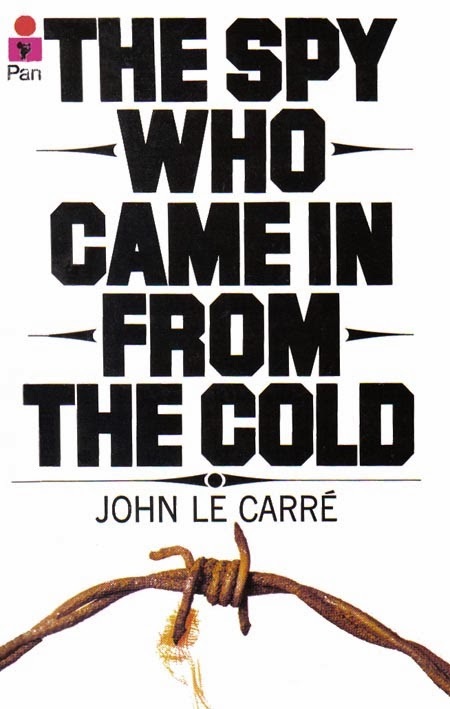 The Spy Who Came in from the Cold is technically the third book in a series of interconnected stories, but reading the previous two novels is not necessary to understanding this one (I didn't even realize it was a sequel until after I'd finished reading it). The novel follows Alec Leamas, a middle-aged spy in command of East German espionage. The novel starts with him waiting at the border for an East German asset to cross into safe territory. Every other asset Leamas had has been murdered. The rest of the novel focuses on Leamas as he pretends to defect to East Germany and seeks to bring down the head of East Germany's secret police, Hans-Dieter Mundt while trying to keep safe the innocent woman who's gotten mixed up in it all. I've never been a huge fan of the espionage genre, but I really enjoyed The Spy Who Came in from the Cold. While the major focus in on the unfolding mystery of secret informants and obscure instructions, le Carré creates a world where moral ambiguity is the status quo, and anything that gets the desired results is accepted as a good thing by those in charge, regardless of the damage it does to any operatives or citizens. 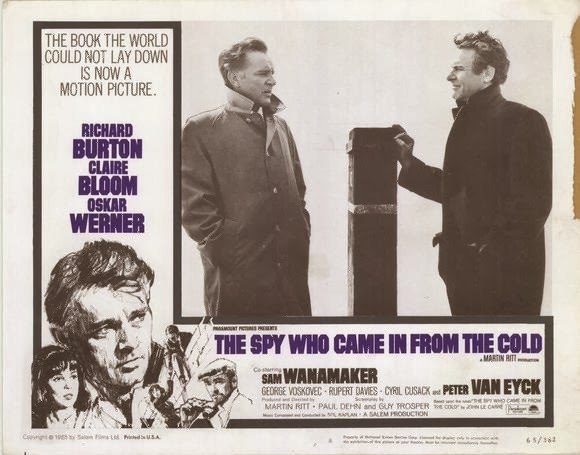 The Spy Who Came in from the Cold met with (and still receives) considerable critical acclaim. Publishers Weekly has listed it as the best spy novel and TIME Magazine included it in their list of the 100 best novels since 1923. A film version starring Richard Burton was released in 1965. If you like espionage novels, or if you don't like espionage novels but want to be won over, The Spy Who Came in from the Cold is a good choice. Le Carré, John. The Spy Who Came in from the Cold. New York, Coward-McCann Inc, 1963.